At first, Soap Opera sounds like any other modern indie rock album. The opening track kicks off with the kind of chiming riff that dozens of unknown Bandcamp hopefuls are likely employing right this very instant in hopes of catching the ear of someone working for Pitchfork or Domino or NPR. But this is a Blimp Rock album, so things don’t stay normal for very long. 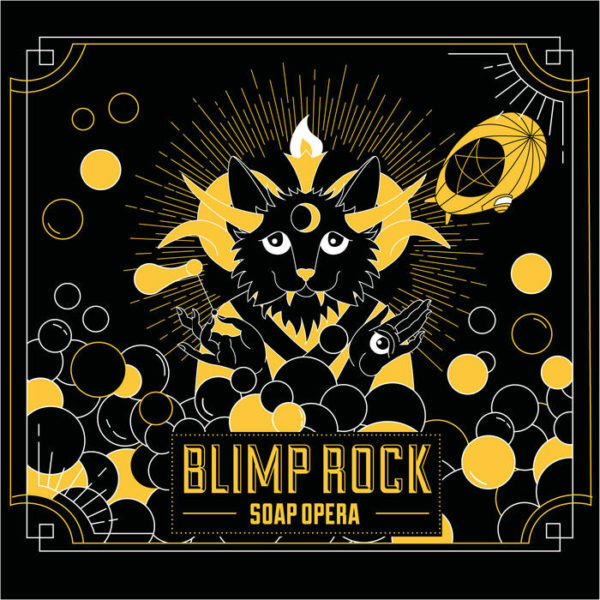 Blimp Rock are a Toronto-based collective who are equal parts band and publicity stunt. Allegedly formed sheerly for the purpose of funding a concert aboard a blimp over Lake Ontario, the group has released two full-length albums and gotten into a legal scuffle with the Toronto Blue Jays, all while raising a stunning $ -2138 of their $700,000 goal. So, yeah, Blimp Rock are pretty gimmicky. But gimmicky can be okay, if done well. Gimmicks are in short supply these days. Most artists take themselves overly seriously or have cultivated so many layers of irony around themselves that they always winkingly seem two steps ahead of everyone on a joke that has no punchline. Gimmicks require a certain earnestness. The kind of earnestness that allows you to, say, release your new album inside a bar of soap. There’s nothing wrong with a solid comedy album, and Soap Opera has some amusing tunes. There’s an ode to Demakos’ cat that turns into an ode to Cat Stevens. There are a handful of songs lambasting Canadian culture which, predictably, go right over this American’s head. There’s an incredibly relatable closer on which Demakos catalogs his faults. Ultimately, though, for someone to want to listen to an entire comedy album in one sitting, it has to be rock solid. It’s why more people are inclined to watch a “Weird” Al Yankovic music video than buy his latest album. Soap Opera simply doesn’t hold up without the soap bar gimmick behind the album (or even the blimp concert gimmick behind the band). Perhaps I’m taking a review of a comedy album too seriously. But if anyone could forgive me for earnestly remaining serious in the face of absurdity, it’s probably Blimp Rock.